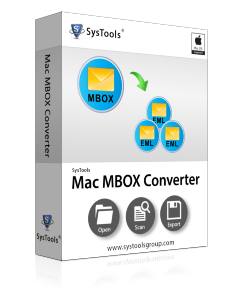 The Mac MBOX Converter processed emails of MBOX file and converted to HyperText Markup Language type file. The output created is in various, i.e. one HTML file is generated to represent as a single email from the source MBOX file. The Mac MBOX Exporter application permits conversion of multiple Mac MBOX file. An individual folder for every MBOX file created if you choose Separate Folder option and also generate a single folder for all Mac MBOX data files. The Mac MBOX Exporter software is capable enough to retain data integrity. Mainly, the folder structure, inline email attachments, HTML formatting remain as it is, even after the completion of conversion from Mac MBOX file. When migrating your MBOX files as application facilitates the option to select an appropriate naming pattern to save every email with. There are various file naming conventions available like: save as subject, DD-MM-YY, DD-MM-YYY, MM-DD-YY, and so on. Emails consist of message attributes that contain different information such as properties like; cc, bcc, and other header information and associated files. 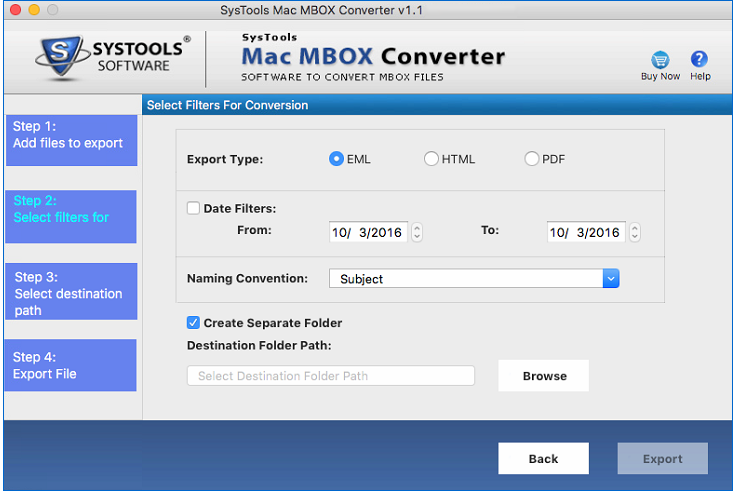 This converter tool ensures converting emails with these properties maintained. The Mac MBOX Exporter software does not consist of compatibility. Additionally, it successfully runs on Mac OSX 10.10, and 10.11 version. MBOX file generated from the referred Operating System is also supported. Does this Mac MBOX Exporter utility export multiple MBOX file at once? Yes, this Mac MBOX File Converter software is able to migrate multiple MBOX data files at a time. Is this possible to perform bulk conversion with the help of this software? Yes, this Mac MBOX Exporter tool is equipped with advanced features. 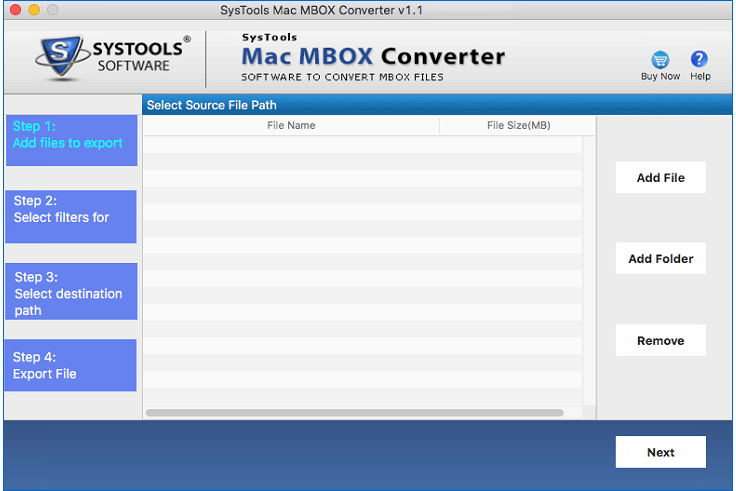 One of the most prominent functionality is this converter application move MBOX files in batch mode. 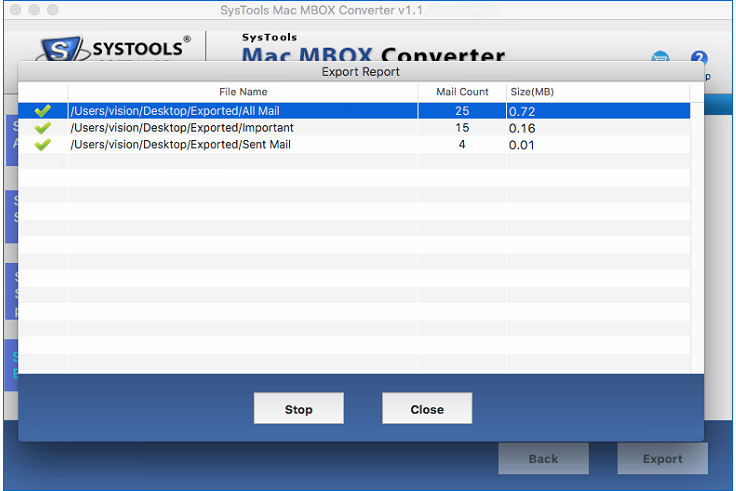 Does this Mac MBOX Exporter tool integrated with any data loss activity? No, this Mac MBOX File Converter tool facilitates a safe and secure conversion from Mac MBOX files. Thus, it is capable enough to migrate various MBOX files without losing a bit of data. Does this application require high technical knowledge to utilize it? No, this Mac MBOX Exporter tool furnishes an easy-to-use and understandable user interface. So, a novice can also avail it and use it without taking a professional help. Can I run this application on my macOS Sierra(10.12) system? 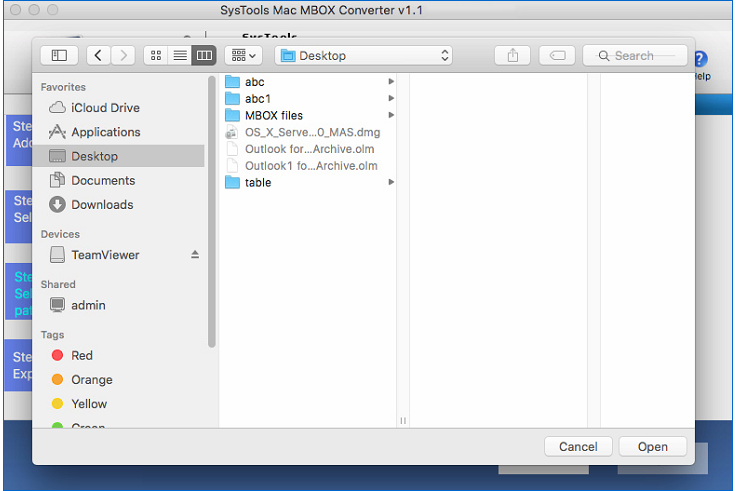 Yes, of course, Mac MBOX File Converter software is compatible with macOS Sierra(10.12). Moreover, this utility supports all advanced versions of Mac OSX OS. "The best tool for Mac OS to save emails into various file formats. Thank the developer to made Mac MBOX to Outlook conversion tool for Mac OS." "Best conversion software at best price with amazing features. Thank the team for developing the wonderful Mac MBOX to Outlook tool to export emails."